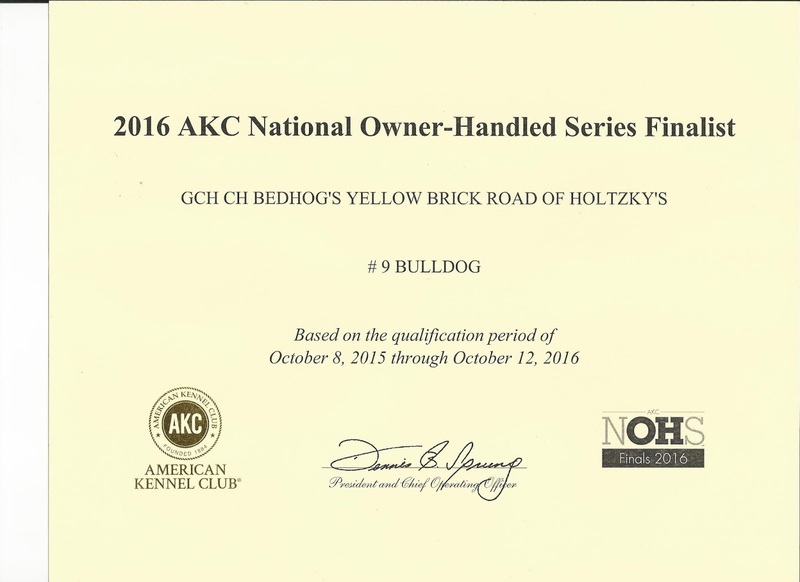 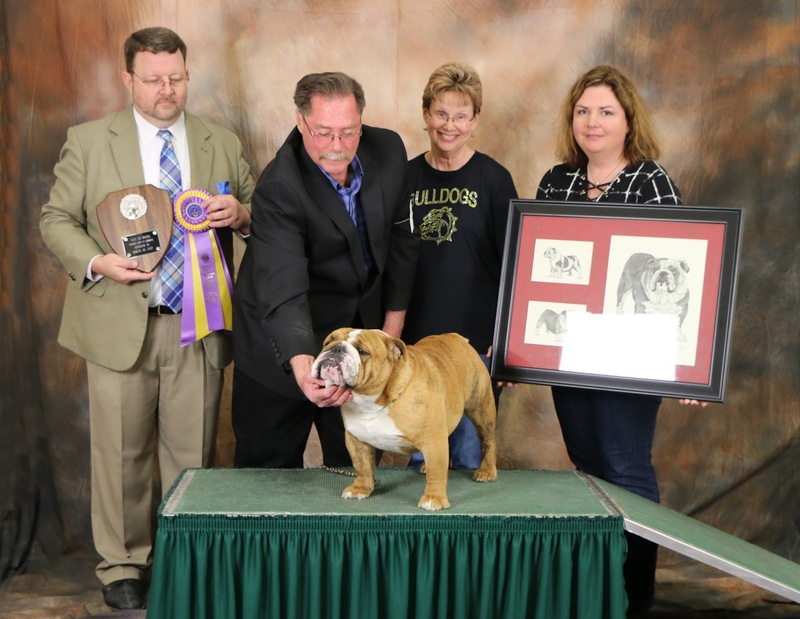 wins Best in Specialty Show on 3-26-2017 in KC. 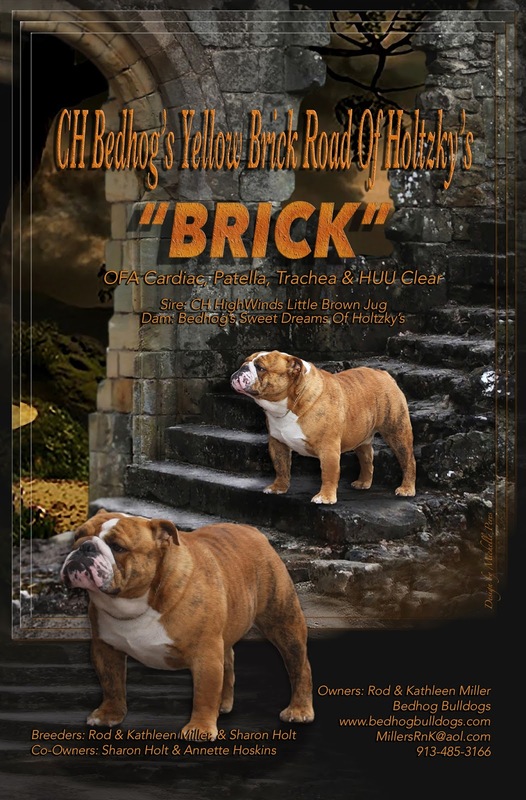 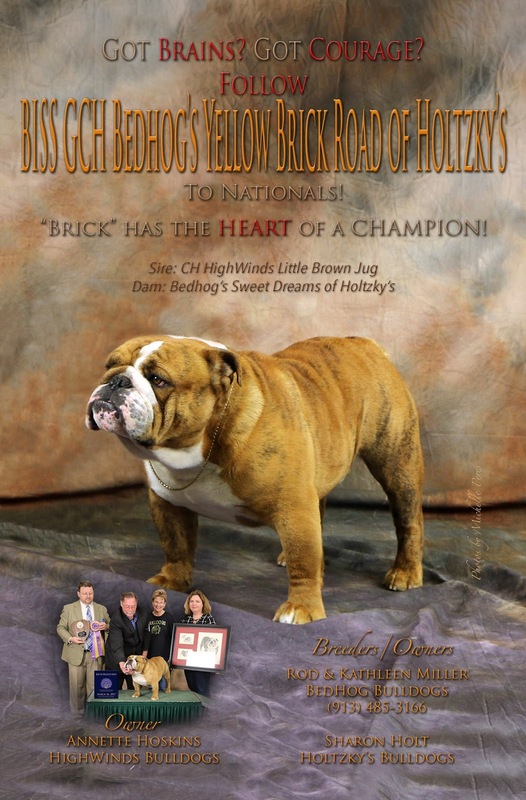 Brick was born 6-6-14 and became a champion on 8-20-15 with limited showing. 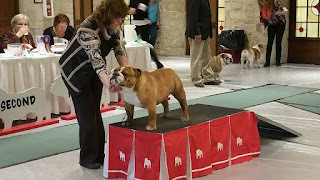 We are very proud of this boy. 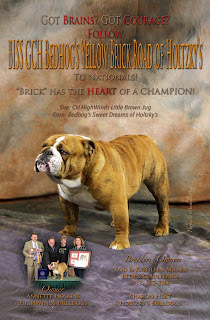 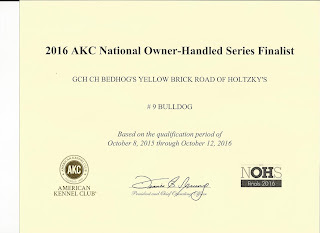 Brick won the AKC 4 to 6 month puppy competition. 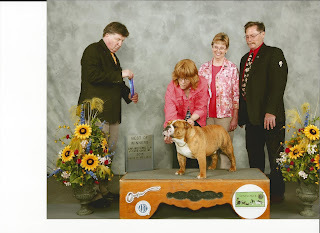 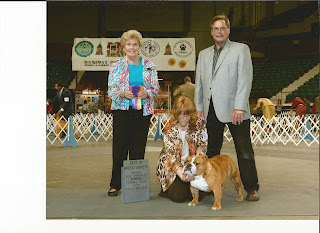 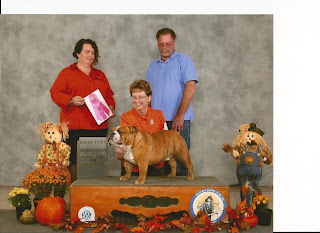 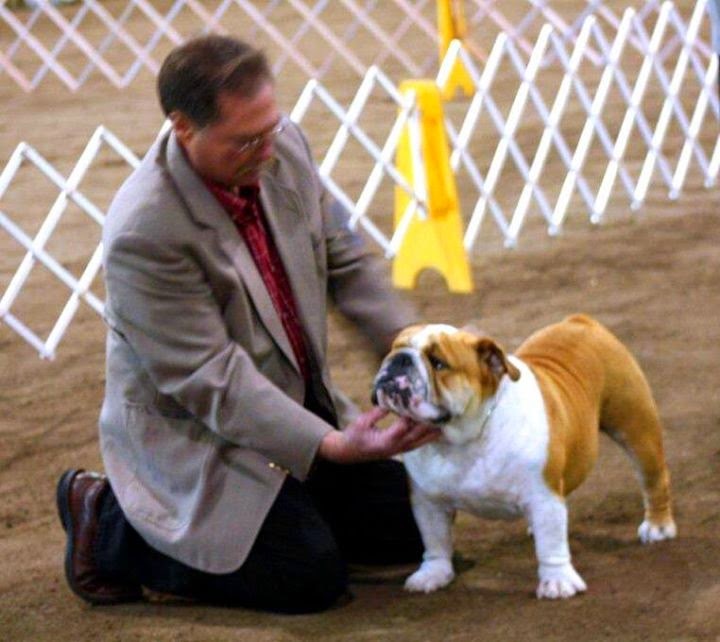 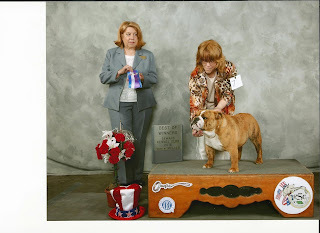 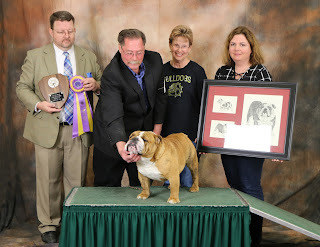 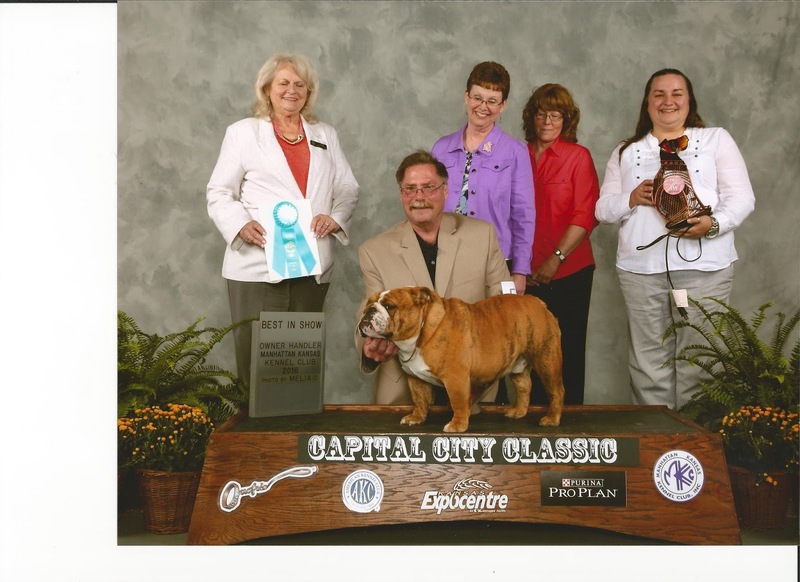 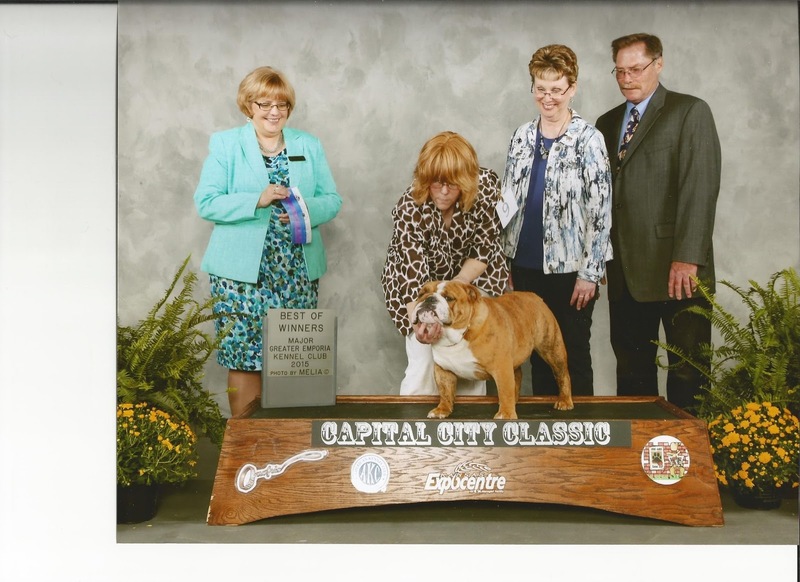 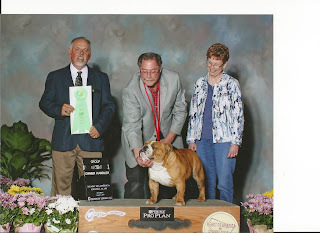 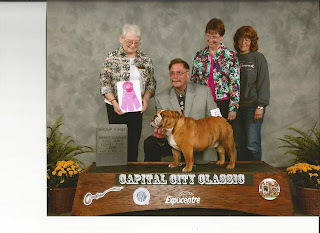 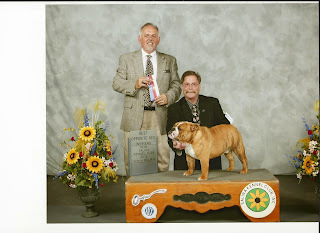 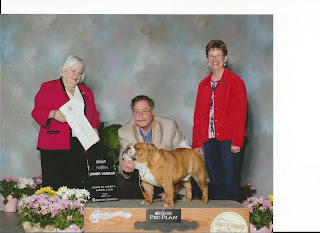 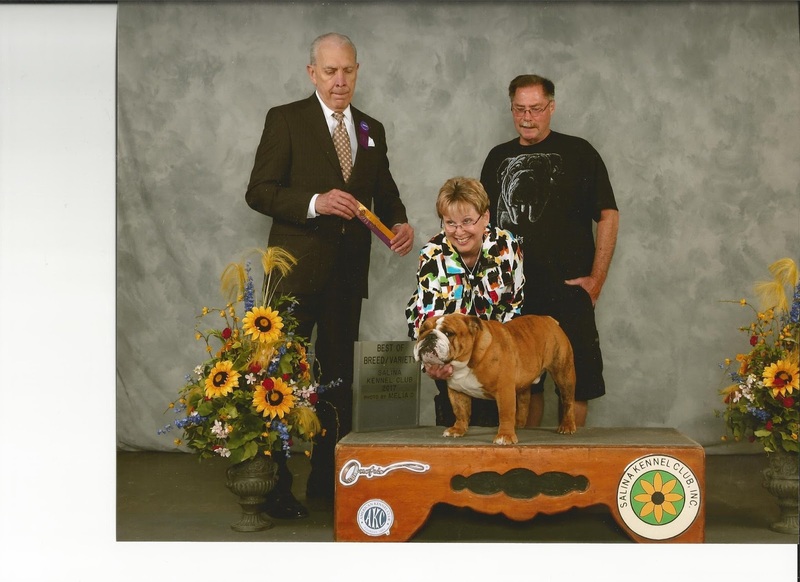 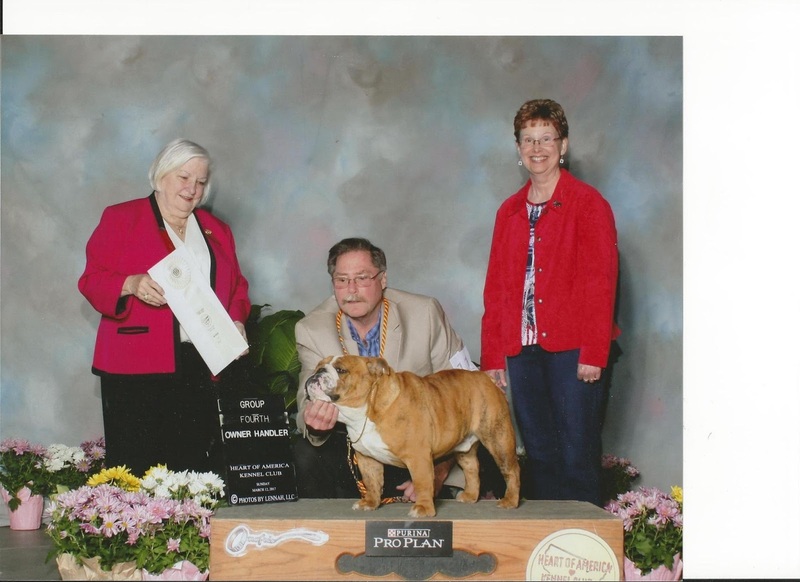 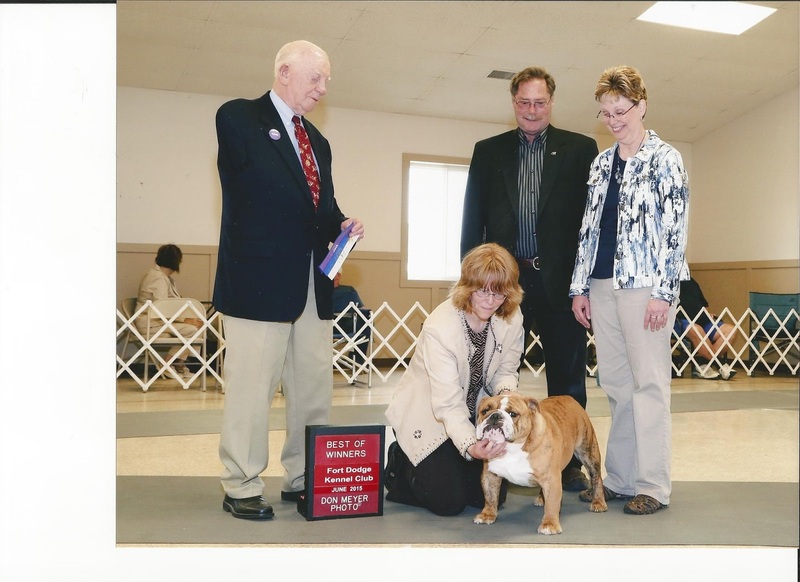 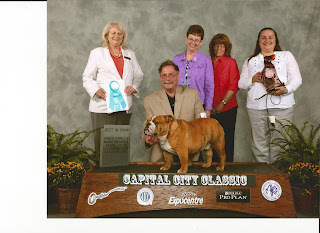 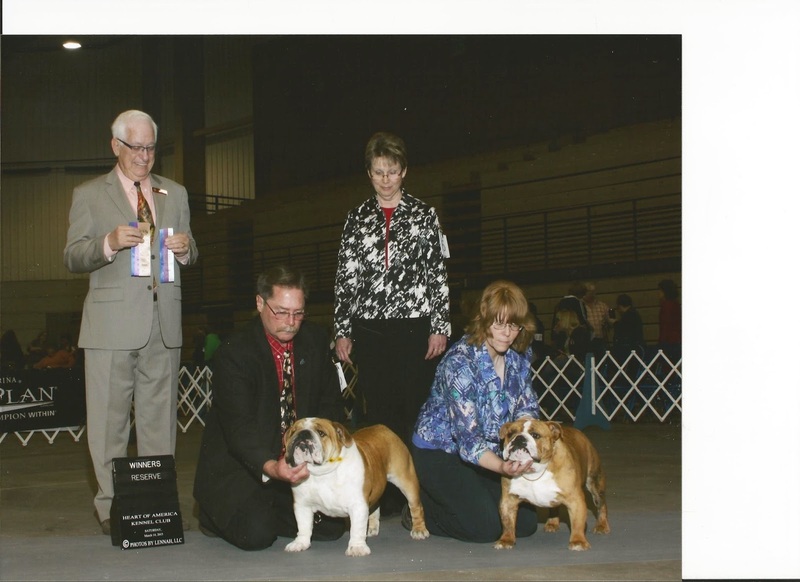 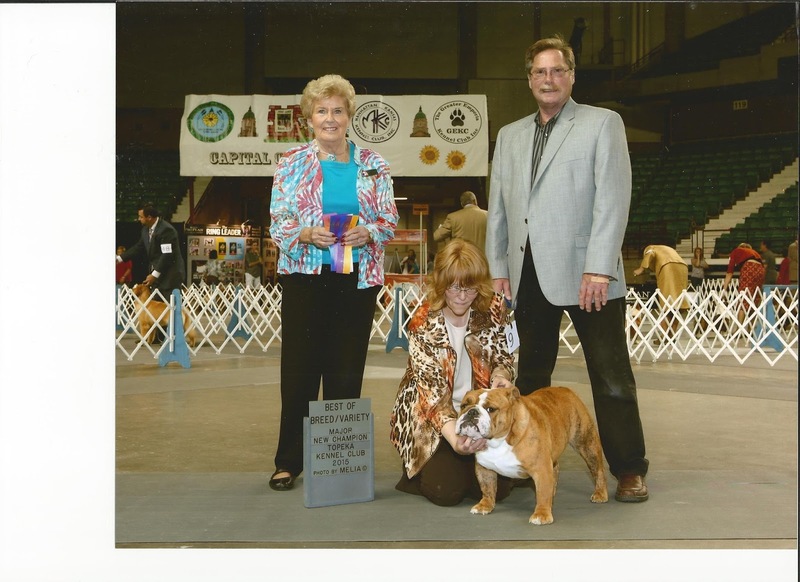 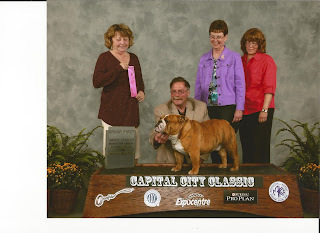 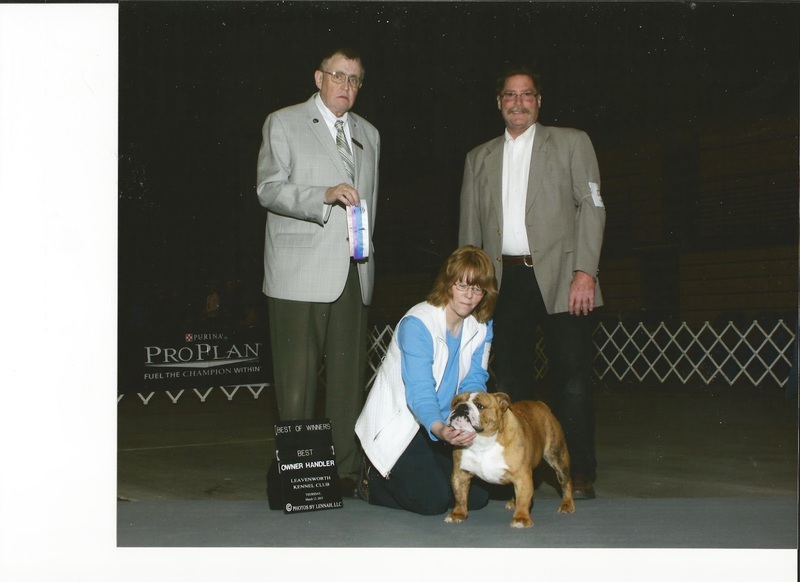 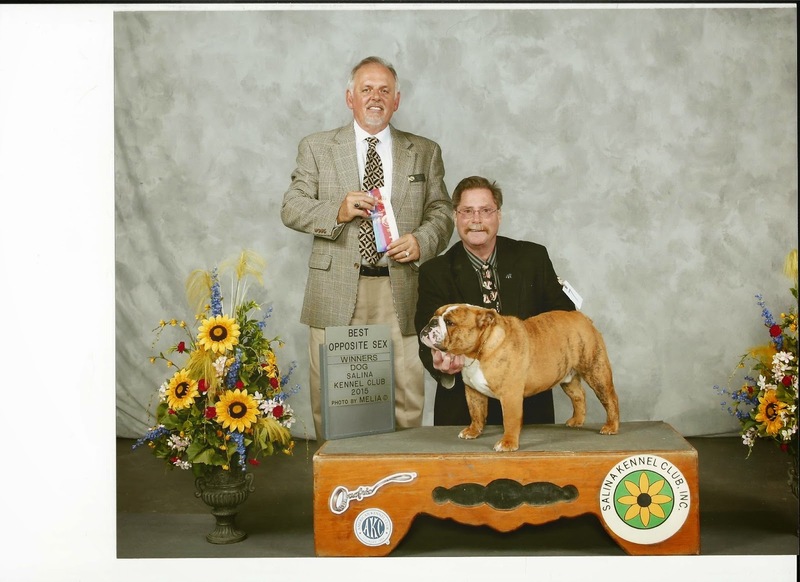 He was Best of Breed, Best in Non Sporting Group, and Best in Show, in Lawrence, October 11th 2014. 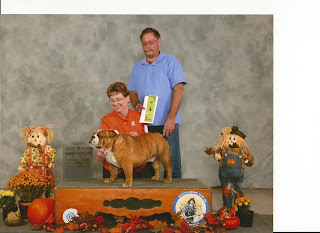 Dunkin won back to back. 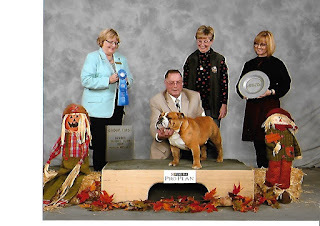 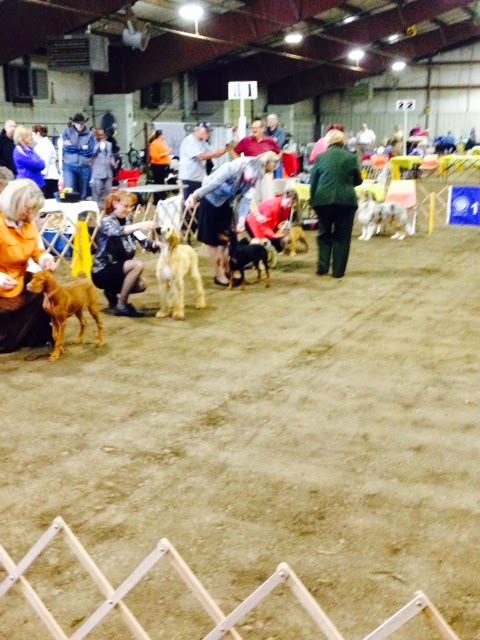 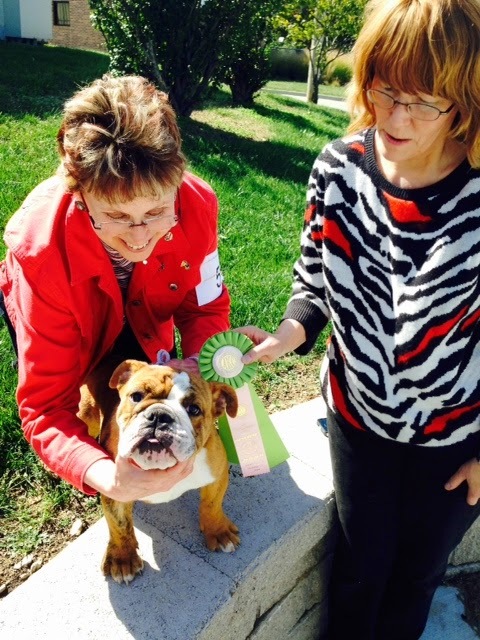 Winners Dog in Lawrence, October 11 and 12, 2014.